A few of you have reached out and asked for nikkah details and I'm sorry that it has taken me this long to get this out to you. 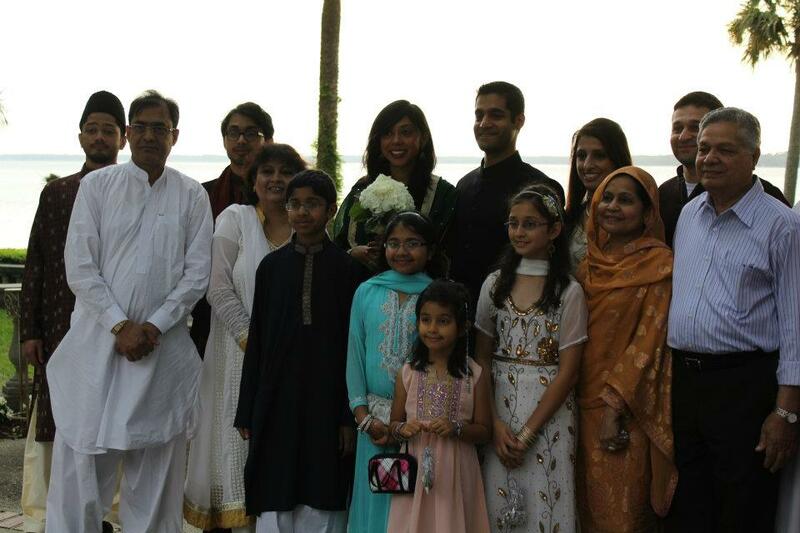 Our Nikkah was held on March 31st, 2012. I want to take a second to tell you what a nikkah is and what it means to Ahmed and I. The word nikkah means "Islamic marriage." But there's more to it. As we are both a product of two very different cultures, Western and Islamic, and because we value our identity as well as our roots, we have separated two very important aspects of our marriage. As simply as I can put it, the nikkah represents our commitment to each other and our wedding in the fall represents a celebration of that commitment along with our civil marriage. Because we intended for the nikkah to be a very simple and solemn affair, we invited only a handful of our closest friends and relatives. The ceremony was held at Club Continental which is an old Spanish home that has been converted into a reception site. It overlooks the St. Johns river and has Spanish moss trees in the back that create the perfect ambiance. We lucked out with the weather because it was suppose to rain all day but the rain started at 9:40, 10 minutes after the ceremony had ended. We had a brunch afterwards and then a dinner reception in the evening. The food was pretty amazing and really we haven't stopped eating since that day because of one reason or another. In fact, if you have a sweet tooth, you really need to come over because we have a ton of sweets. Can't wait for round two in September! I wish you both all the happiness and bliss that married life has to offer. 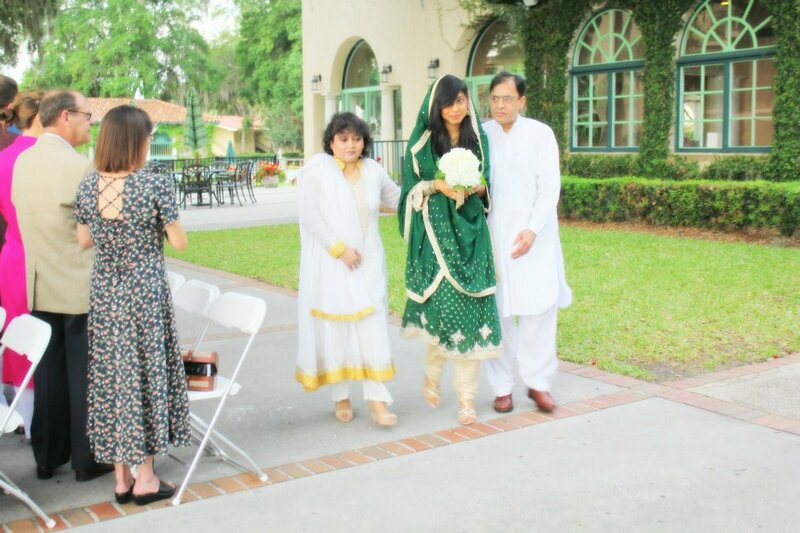 Would love to see more pictures of the nikkah! Now this is cool babe....many wishes of happiness and good fortune.....but wait for my speech in Sept....yes i want the microphone!! !